This form is a quote request to HawaiiGolfDeals. Please fill in the fields below and submit. If you provide us with complete information, we may be able to supply a price quote very quickly and via e-mail. Please be as specific as possible with your requests and dates. Smart choice! The Kona-Kohala Coast of The Big Island of Hawaii (aka Hawaii Island) is the Golf Capital of Hawaii with a host of great golf courses and terrific lodging options. You can easily spend two weeks or more on this fantastic island, which not only boasts the best golf courses and lodging, but the best golf weather (and beaches), as well. Please choose your preferred Big Island package option. To reserve for a group (8 or more people), please use our Group form instead. Please purchase your Big Island GolfHawaiiCard here. Oahu is the home of Honolulu, Waikiki and Pearl Harbor, among many notable Hawaii sites and scenes. If your reason to visit is to see these and other places of interest, then we can help you plan a perfect Oahu golf adventure. Keep in mind, there will be a lot of time spent in the car on Oahu due to traffic considerations and distance to the golf courses. If your main mission is to play golf, we recommend The Big Island—The Golf Capital of Hawaii. Please choose your preferred Oahu package option. 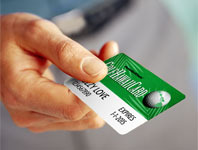 Please purchase your Oahu GolfHawaiiCard here. Maui is not really the golf panacea you might be hoping for. Maui golf (and lodging) is extremely expensive and this can put a damper on the number of times you play golf. That being said, our exclusive and complimentary “Insider’s Guide to Maui Golf” will always help you find the best deals for golf on Maui. But if your goal is to play lots of golf, we recommend The Big Island—The Golf Capital of Hawaii. Please choose your preferred Maui package option. Kauai—the Garden Island—is not quite the golf heaven it was 20 years ago after having 36 holes of resort golf shutter since 2014. There are now three resort courses, two independent courses and Hawaii’s best municipal course, all of which our exclusive and complimentary “Insider’s Guide to Kauai Golf” will explain how to access at the absolute best prices. However, if your goal is to play lots of golf, we recommend The Big Island—The Golf Capital of Hawaii. Please choose your preferred Kauai package option. Unless you have at least 10 days (14 or more is much better) to play with, we do not recommend a Multi-Island golf adventure. Due to check-out/check-in times for lodging, vehicles and increased airport security, you will lose a day of your visit (and golf) for very little payback. 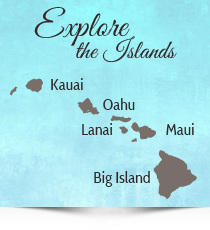 And unless you stay at least seven nights on each island (Big Island/Kauai/Maui), you will lose many added values, like free vehicle days and room nights, which will raise the cost of your Hawaii golf adventure considerably. Inter-island air is also at its highest price levels of all time and you will pay for your bags on those flights. Under no circumstances should you consider visiting all four major islands. No matter what, make sure The Big Island—The Golf Capital of Hawaii is one of the islands you choose to visit. The one exception to our inter-island advice is if you are planning to visit The Island of Oahu at the end of your visit (generally the best scenario). If you’d like to see some of those famous sites, spend a week on The Big Island and the last three nights (give or take a night) on Oahu. Please choose your preferred Multi-island package option. No problem. Not a week has gone by since 1994 that we haven’t helped golf travelers decide where to visit and play golf in Hawaii. That’s why we’re known as the Hawaii golf authority. And for those looking to play a lot of golf, we always recommend The Big Island (Hawaii Island)—The Golf Capital of Hawaii. You just can’t go wrong. A host of participating GolfHawaiiCard courses with affordable greens fees, outstanding lodging options and near perfect golf weather year-round. Please choose your preferred Need Advice package option. For a Vehicle / Golf package quote, please fill out this form instead. Multiple age ranges may be selected, hold down the control key and click on each range. Entering the names of each person in your party will expedite the booking process. While we are not requiring phone numbers, please be aware that the entire process is expedited when you provide this information. We do not sell or share your numbers and will only call you if necessary. Please indicate the airport you prefer to utilize. Please enter the earliest possible date of departure and the latest possible date of return. If it is the same as the preferred travel dates, list it again to confirm. Please note: FLEXIBILITY OFTEN LEADS TO BETTER PRICING. If you have already booked your air, please enter the arrival/return info below. If your airline is not listed above, please enter the airline's name here. Please note: "Moderate" generally limits you to condo / villa accommodations. Please note: Condos / villas are generally much less costly than hotels / resorts. The more information you can provide about your party, plans, intentions, desires, and so forth, the more efficient we can be in response. Please clue us in!